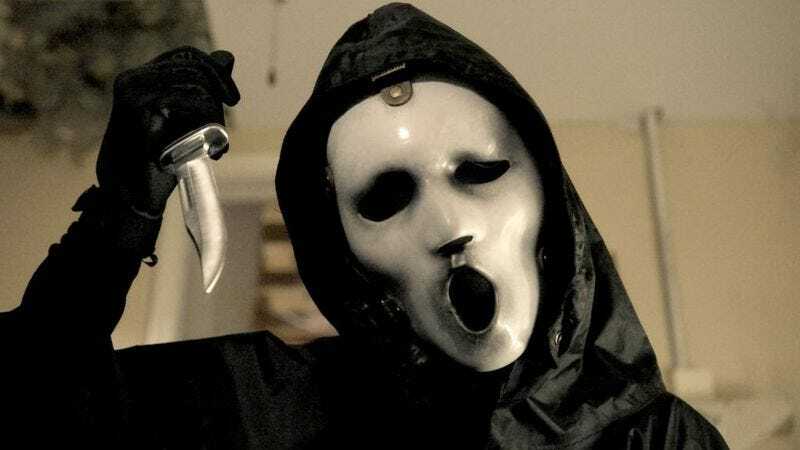 MTV’s Scream, the freshman TV series based on Wes Craven’s 1996 meta-horror classic, will be honoring the director—who died yesterday—during Tuesday’s season finale. What the showrunners have in mind isn’t clear, but there will be a tribute of some sort. Craven famously changed the face of horror three times in three different decades with Last House On The Left in 1972, A Nightmare On Elm Street in 1984, and Scream in 1996. Around the time of Scream’s release, there was very little theatrical horror and most films of the genre went direct-to-video. But Scream, written by Kevin Williamson and directed by Craven, was a surprise hit, and a glut of self-referential slasher flicks with WB-ready casts—I Know What You Did Last Summer, Halloween: H20, and Urban Legend, to name a few—followed in its wake. The Scream series garnered three sequels, and the MTV series based on the films premiered on June 30, 2015. A second season of the show is coming at some unknown date (the better to sneak up on unsuspecting teenagers, presumably).